Messy extension cords are taking over my workshop, power tool cords in particular. I think I wrap them well when I put my tools away only to find the cords are a tangled mess the next time I need to use them. Ugh! 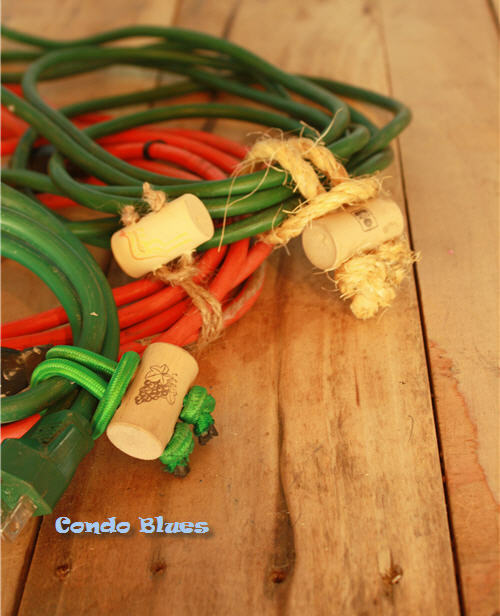 To go along with my upcycled workshop scheme and more importantly I always have a stash of wine corks I use to clean sandpaper (read the tutorial on Condo Blues here) in my workbench I stopped what I was doing and whipped up a set of homemade power cord organizers. Pin this organization tutorial for later! This idea isn’t a new one but there are a few tips and hacks I haven’t seen written down and want to share. Tips for Making Wine Cork and Bungee Cord Organizers: Everything You Need to Know! Plastic cork wine doesn't taste so bad if you use it for cooking or to make my raspberry moscoto jam recipe here. Synthetic wine corks – Real corks are made from composite cork. They will not stand up to the slight wear and tear of removing and replacing the tie. 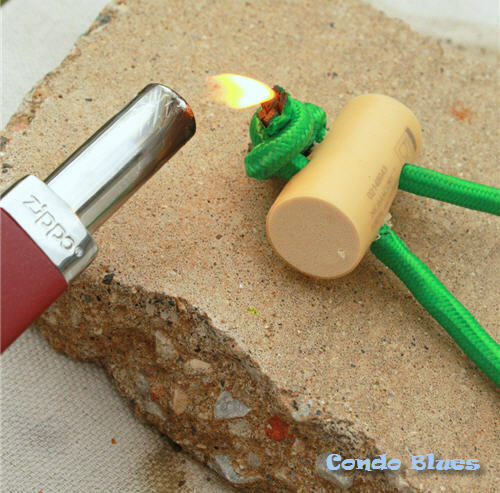 Fire – I used my refillable Zippo mini candle lighter. I am a candleholic. I used to run out of matches and disposable candle lighters on the regular until I bought the Zippo. I like it so much I gave it as Christmas gifts last year! 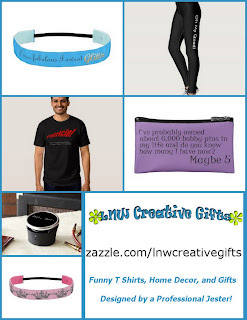 Disclosure: There are affiliate links for your convenience in this post. 1. Slowly drill two holes in the center of the wine cork. If you have a vice, I suggest you use it to hold the cork as you drill it. 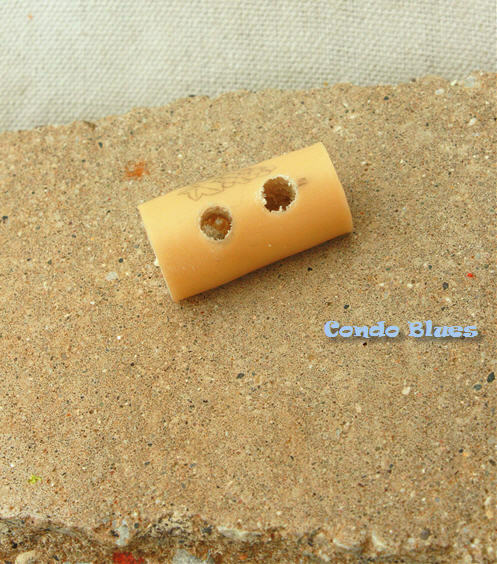 It is way to easy for the cork to get stuck on the drill bit and fly around in circles even if you try to drill the wine cork slowly. Any guesses on how I know this? 2. 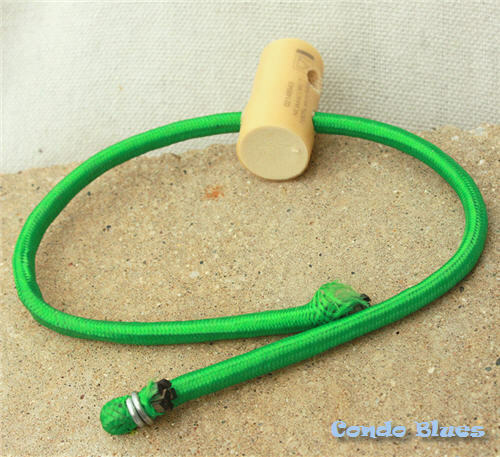 You will probably need a longer length of bungee cord to wrap around extension and power tool cords than you think. I cut the hooks off dollar store bungee cords and it was a mistake. Dollar bungee cords are too short to wrap around the thick power cords I need to organize once I knotted the bungee cord into place on the wine cork. I punted and slid the bungee cord tie over the wrapped power cord and slide the wine cork snug to secure it instead of wrapping the bungee cord around the outside. It doesn't come unwrapped as long as I slid the wine cork snug against the power cords. Turns out the stretchiness of the bungee cord doesn’t matter as much as having a long enough cord to wrap around the outside of the cord and hook into itself to stay in place. I made a longer cord tie with scrap rope (doesn’t everyone have random lengths of rope laying around?) that works much better. 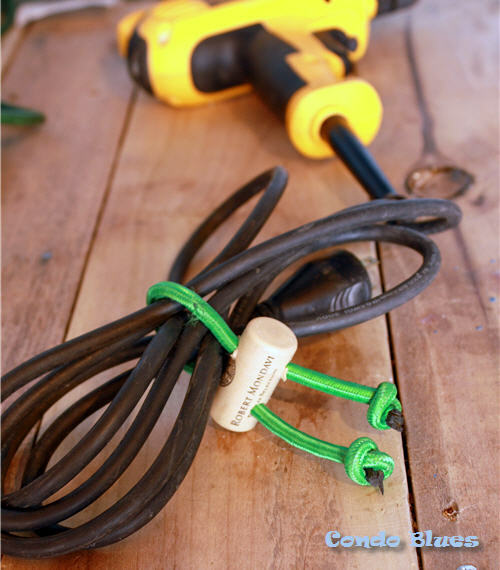 When I ran out of rope, I made a cord organizer for my Dremel with braided garden twine. If I had thicker twine on hand I might not have had to braid it to make the organizer. In all honesty, I like the bungee cord version the least. I made all of the other reusable wine cork cord ties with twine for my workshop. 3. 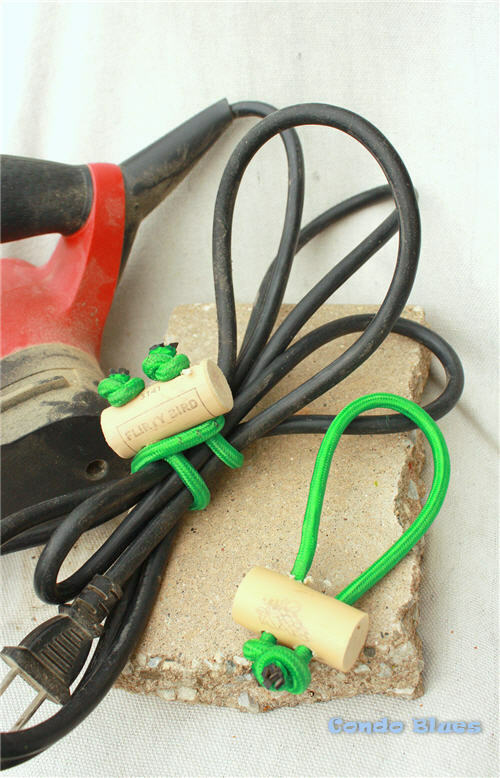 Wrap a little bit of tape around the cut end of the cord/rope/twine to make an aglet (the thing on shoelaces) to make threading the cut bungee cord/ rope through the wine corks easier. It was much easier to make sure all of the small cords and threads from the now cut edge all go through the cork when I wrapped a bit of painter’s tape tightly on the end. This is the only time the bungee cord was slightly better than rope, cord, or twine because I could use one of the ends as an aglet before I cut it off to tie the knot. 4. 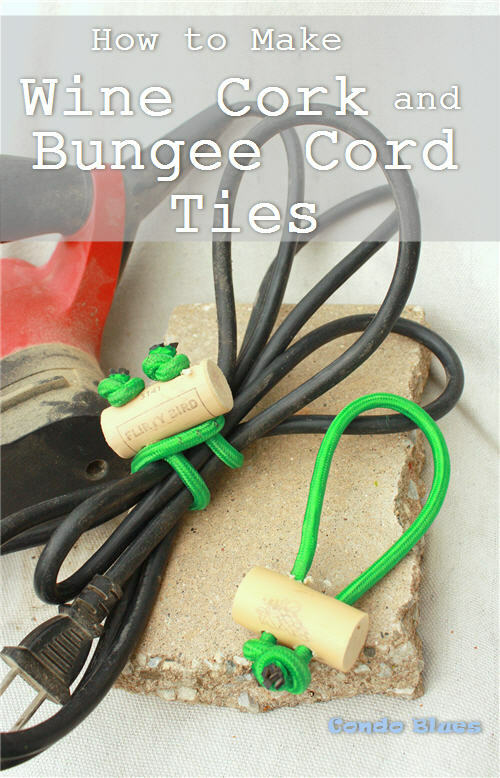 Bungee cords are tough to knot and stay knotted. It might be the smaller length I used but it seemed like it was more difficult than it should be to tie a simple overhand knot in a bungee cord. Carefully singeing the end of the cut and knotted bungee cord so it wouldn’t fray with the candle lighter seemed to keep the knot in place after several attempts. Be careful if you play with fire! 5. 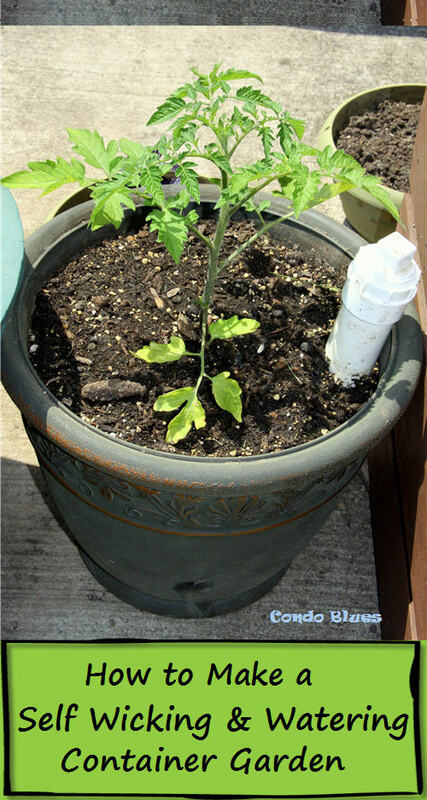 Don’t use fire to singe the ends of natural rope, cord, or twine. That should go without saying because sisal rope and twine are extremely flammable but consider it my I warned you not to so please don’t sue me I don’t have oodles of money because I spend it all on Lacey notice. 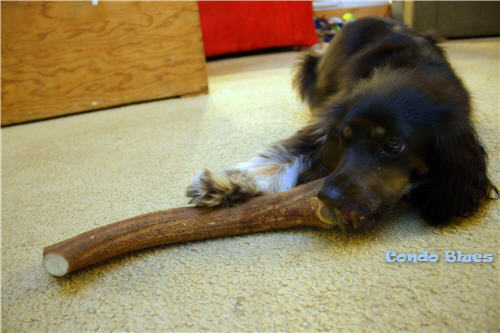 Thank you for the GIANT antler Lisa! You can buy my love any day! Back to School Target Giveaway!